Matt Looby was diagnosed with Cardiomyopathy nearly 16 years ago, suffering from a weak and enlarged heart. As a Marine Corps veteran, dedicated husband, and father of 8 children, Matt has managed to do well on past treatments of medication while pursuing his hobbies of art and astronomy. However, it was discovered this past November that his aortic valve has become essentially nonfunctioning. This development has dramatically worsened the condition of Matt’s heart failure and he is now in urgent need of a heart transplant. He is currently receiving medical care at Massachusetts General Hospital, requiring frequent and numerous trips between upstate New York and Boston for the Looby family. 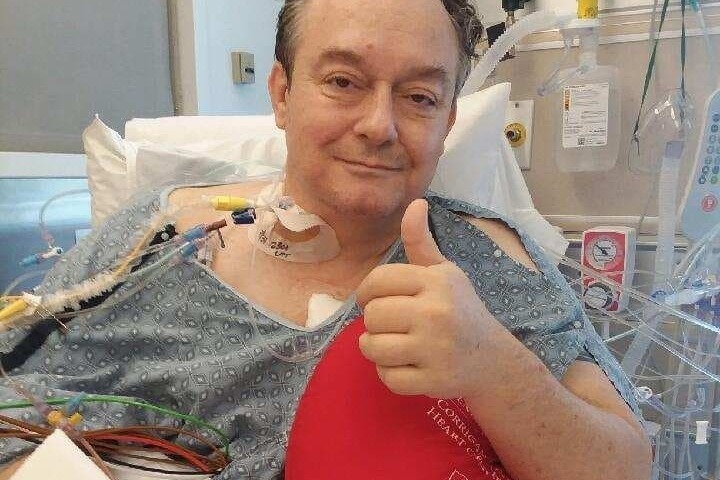 These visits include various tests as doctors try to determine the best option for Matt, which most likely will include undergoing open heart surgery to repair the faulty valve and implanting an artificial pump called an LVAD. An LVAD requires him to wear a battery pack 24/7 and multiple medical visits. This procedure would require approximately 20 days of hospitalization. Even after this high-risk operation there is an average waiting period of 6 months to receive the final heart transplant. Any funds raised here will go to helping the Looby family in their effort to cover various medical and travel expenses. The transplant procedure itself will require a post-operation period of roughly 3 to 6 months in which Matt will be required to remain in Boston under medical care. Local community members are encouraged to attend the Spaghetti Dinner Fundraiser on September 2 at the Whallonsburg Grange Hall. ( event link can be found here ) The Looby’s cannot thank you enough for any support you might lend during this difficult time for our family. Surgery scheduled for May 2nd at Mass General in Boston! Prayers and support welcome and so very much appreciated! Although Matt's new heart is doing well he is now dealing with a hyperparathyroidism and tumor. This has been slowing down his ability to recover and do cardiac rehab. The doctors are planning surgery to remove the parathyroid tumor in early May. The Looby family is still in need of help due to travel expenses and lost wages during his care in Boston. Matt hospitalized again at Mass General. His heart doing OK but he may need emergency surgery to remove a parathyroid which is causing serious complications!!! He has been disoriented and barely able to walk. waiting for Docs to decide is difficult! Matt's last two biopsies negative for rejection. One more bi-weekly biopsy then he will need to go to Boston every 3 weeks for a few. Then every 4 weeks and so on. Matt is getting stronger and I hope to return to work in about a month. We could still use a little help as I have had no income since August! Thanks for all the prayers and well-wishes!